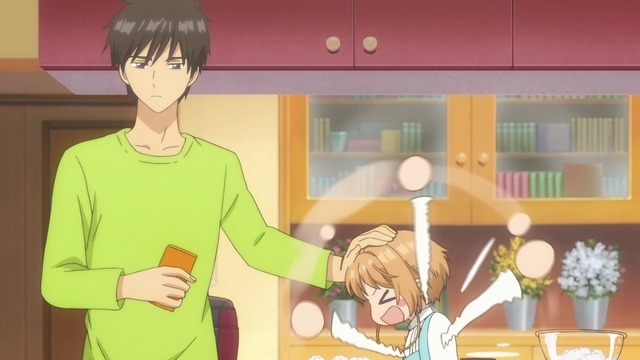 Archive for Cardcaptor Sakura: Clear Card-hen. Just your average preteen and her WMD. Has it really been 18 years already? 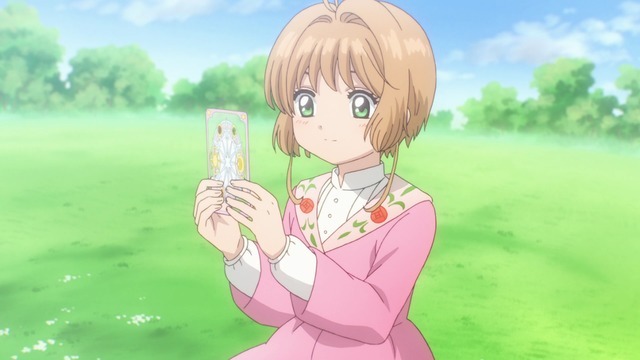 Cardcaptor Sakura: Clear Card-hen basically picks up where the last series left off, and the transition is practically seamless. Various electronic gadgets get upgraded to the modern standard without comment, but the show itself is just the way I remember it. The cast remains intact, and while some voices have changed a bit over the years, the characters still remain true to form. Sadly, Kawakami Tomoko passed away in 2011, but Clear Card-hen did not write her character out of the show. Well, Rika did transfer to a different school, but she's acknowledged as still being part of the circle of friends and shares a phone conversation with Sakura in the fourth episode. It's not clear how large a role she will play in the current series, but this is also the case for much of the Cardcaptor Sakura cast. After all, the original ran for 70 episodes, while Clear Card is projected for only 22. I think we can expect a lot of characters to only get cameos this time around. Some things don't ever change. For now, these episodes fit the "card of the week" stereotype, but that was true of the initial episodes in the original series as well. I'm fairly certain we can expect Clear Card to grow into a much larger story with complex narratives as it progresses. For the time being, I don't have much to say about Clear Card itself except that I'm constantly amazed we got a sequel to one of the best shows of all time almost 20 years after it ended, and the sequel manages to hit all the right beats so far. Moreover, this is true from both a thematic and a production standpoint. I don't know if Cardcaptor Sakura: Clear Card-hen has all the people who were responsible for the first anime, but they at least understand what made the original great and appear intent on bringing that magic back. As for whether or not you should watch Clear Card, the answer to this seems obvious: If you watched the original series, then you can absolutely let your feelings about that show influence your decision about this one. If you have not watched the original, then you should absolutely watch that one first instead of skipping ahead to this one. The fact that this last point ever needs to be said is itself somewhat dismaying, to tell you the truth.